Learn how to use Yoga to improve your quality of life from many different angles. As a very popular activity that has sprung up recently, I’m pretty sure that you know at least one person who actively participates in yoga on at least a weekly basis (but potentially more often). But you might still be wondering why? Or wondering what all the hype surrounding yoga is really grounded in? I will try to describe just how useful yoga truly is, especially for those trying to improve both their mental and physical well-being. So what is yoga for those who want a definition before getting too far ahead of ourselves? Well, yoga is basically an activity in which you take on various “poses” and breathing exercises, most often in a group. Overall, there is very limited physical activity required, at least compared to other forms of “exercise” such as running or weight lifting. However, although it is a very simple activity, yoga strengthens your body and mind in a way that not many other exercise activities can match. From a physical standpoint, yoga is a great way to improve on your flexibility. Most yoga poses involve reaching in extreme positions, which inevitably means stretching out your body to achieve such positions. And even if you can’t fully get into a “downward facing dog” or any other yoga position, the attempt to do so alone will help improve your flexibility over time. This helps keep your body in tip-top shape, helping you to avoid joint pain or other minor physical ailments as you age. From a mental standpoint, yoga is a great way to get into a meditative state, without focusing on the act of meditating itself. Yoga requires much focus and concentration to not only get into specific poses, but to stay in said positions. As a result, you are sharpening your mental fortitude and improving your brain functionality. And the best part about such improvements are that it happens through the lens of a fun, physical activity, rather than a mentally taxing exercise. Emotionally speaking is where yoga has the most profound benefits in my opinion. And this stems from the fact that yoga is a fairly relaxing activity. Because of the overall level of relaxation that you can achieve while participating in yoga, you can actually reduce stress levels dramatically. And that makes perfect sense – you are more or less alone in a quiet room with all of your focus on yoga and nothing else. No thinking about the struggles that you’ve been dealing with throughout the day, or the struggles you anticipate coming in the near future. Stress levels can dramatically drop just from an hour session of yoga, and the best part is that your stress levels remain lowered for many hours after your yoga session has completed. In fact, many studies have shown that yoga can help eliminate more serious forms of mental illness that are driven by stress. Things like depression or anxiety, which can put a big damper on your lives, can be managed and even potentially eliminated if you practice yoga on a regular basis. And if you are veteran, yoga can even help you with post-traumatic stress disorder (PTSD). All in all, nearly all people who start yoga do it as a ways to manage and eliminate stress, or to improve their flexibility and overall strength. 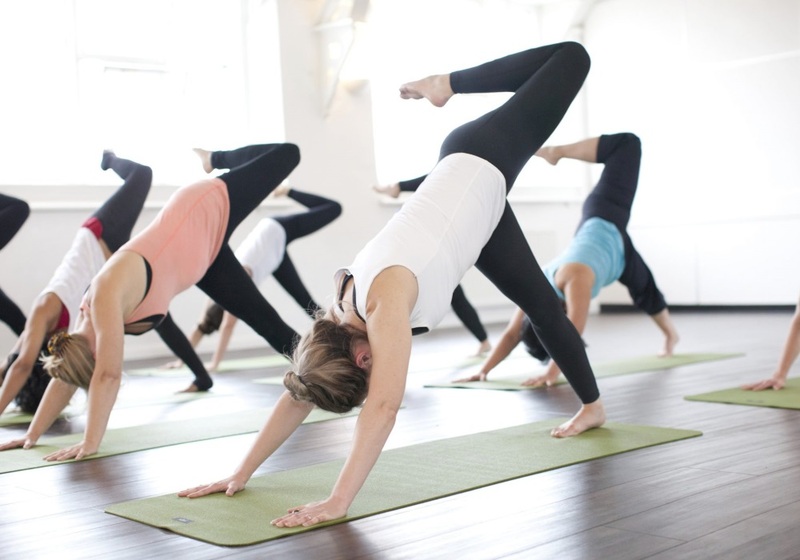 However, most of these people stick around because yoga is just a fun activity in general. Despite the perceived simplicity of yoga, there is really no better way to improve yourself from multiple facets than this newly popularized activity. And because yoga is so popular nowadays, it is so easy for anyone to get involved with yoga almost instantly. Your local gym almost certainly has yoga classes for people of all skill levels, and you can even start doing yoga at home with nothing more than a yoga mat and a few instructional videos or guides online regarding various beginner yoga poses. There is really no excuse for not being able to integrate yoga into your daily life. So don’t let the allure of yoga pass you by for another day. Try it out for yourself and see just how beneficial it can be for your mind, body and perhaps most importantly, your soul.